Anyone who’s been around a baby for more than about 30 seconds knows that the task of “keeping an eye” on a little one from the time she learns to crawl is a full time job. No matter how hard you try, you can’t be by a curious baby or toddler’s side 24/7. Truth is, you wouldn’t even want to if you could. Baby needs to explore and develop her independence at an early age without you hovering. And a few bumps and bruises along the way are just a natural consequence of childhood. Unfortunately, childhood injuries often go further than what can be remedied by doctor mom with a bandaid and a hug. In a study conducted by the CDC from 2000-2006, it was estimated that 9.2 million children a year went to the emergency room for an unintentional injury. Fortunately, with a little awareness and a lot of preparation, most of these visits can be eliminated. 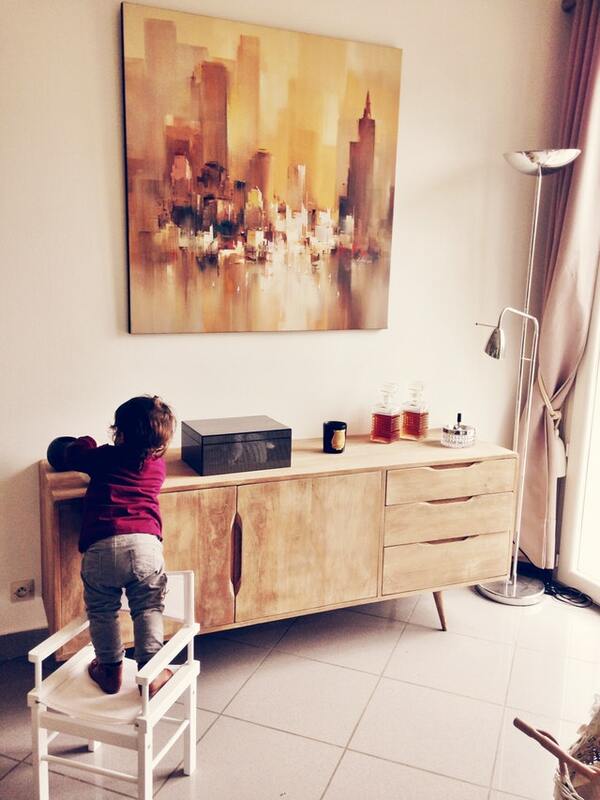 And it’s never too early to start babyproofing your home. Once baby can crawl, your home becomes a playground for exploration, with multiple dangers literally lurking around every corner. What’s the best way to tackle this inherently unsafe environment you have your child trapped in for much of his life? Let’s start the babyproofing process with a few major threats that are seen in some, if not most, of the rooms in your house. One of the biggest dangers, and easiest to fix, is the electrical outlets that are everywhere, especially in newer homes. The outlet covers are cheap and easy to install. The good and bad thing about the outlet covers is that they’re hard to pull out. Yay for baby, not so great for mom and dad, who actually need to use those outlets. The temptation to not stick the cover back on because you’re going to use it again soon and it’s so hard to get out, is great but must be resisted. This one is especially close to our hearts at Kids Party Characters because owner Cheryl Jacobs had a close call with her grandson, who was headed towards an electrical outlet with a fork. While she was able to stop him in time, the realization that he could have been within seconds of death or serious injury had she not been right there was pretty scary. Also be conscious of making sure nothing that’s plugged in is close to water. Accidents happen in a split second, and you’re not always right around the corner to prevent them. Injuries due to falls are the leading cause of non-fatal injuries according to the CDC study. Stairs are the most obvious culprit here. While there are so many fun and cute things to spend your money on when it comes to baby, resist the urge to go cheap on the boring old baby gates. Invest in the ones that actually install into the wall and have to be clicked open and shut. This ensures that there’s no way baby can push them over and take a nosedive down the steps. Next, go through each room, get down to baby’s level, and make sure there’s no way he can crawl from one item in the room to another and end up on the top of a bed, dresser, or counter. This will require you to look at each room in a whole new way, but if you don’t, baby will quickly figure it out and show you! Rearrange the furniture to avoid any potential climbing hazards. Another danger that comes with falls is baby hitting his head on the sharp edge of a table or the fireplace. You may want to just put away some of the more decorative tables that you have around the house until baby is older. For necessities and things like the fireplace that just won’t move, purchase padded bumpers to go around all edges that aren’t soft. Finally, a risk that is often overlooked is not that baby will fall, but that furniture will fall on baby. Media reports of a TV crushing a child to death, and similar tragedies highlight the seriousness of this risk, no matter how rare it might be. Children use bookcases, shelves and dressers to pull up on when they’re learning to stand and walk. Even heavy pieces can be pulled off balance and fall. Most pieces of baby furniture come with fasteners that allow you to anchor the furniture to the wall. You’ll want to purchase these kits for anything else you have around the house that’s within baby’s reach and could be pulled over. The most common sources of poison for your baby are household cleaners and medications. The best way to guarantee your baby does not get into any of these is to get rid of them. Everything can be cleaned around your house with some combination of baking soda, vinegar, and water. If you’re not quiet that green, at least do a google search and find a line of non-toxic cleaners you’re comfortable with using. Ultimately, no matter how hard you try, there will be things you won’t want baby to get into. Purchase cabinet locks to safeguard these things. In fact, cabinet locks for all the cabinets in your house are not a bad idea. They’ll keep baby away from heavy pots and pans, breakable or sharp items, and just from making messes you don’t have time to clean up. Babies do love to explore, so it’s a good idea to keep one cabinet accessible where she can pull out plastic dishes and other safe items to explore. As for medications, while it’s convenient to leave them out on the counter where you won’t forget to take them, it’s crucial that they be in a place where baby can’t reach them or climb to them. Behind a child-locked cabinet is the best place for all medications, prescription and over the counter. Now is also a good time to clean out all the old medications that are expired or that you simply don’t use so you can cut down on the risks as much as possible. Also beware of carrying medications in your purse. Maybe because it’s so often an extension of you, babies are very attracted to your purse, and don’t count on the childproof cap on the medication to keep a determined child out. Once your baby learns to crawl, she’s going to start putting everything in her mouth. While this is developmentally appropriate, it’s also very scary. What constitutes a choking hazard for baby? Basically everything she can fit in her mouth. Fortunately the gag reflex keeps most choking from happening, but you won’t want to take any chances because the risk of death is so great when a child chokes. Having the cabinet locks will keep baby from getting into small items, but so often these are things that accidentally end up on the floor, or food items you actively hand to baby. - Make sure your child is always seated when eating. Cut up all small foods such as grapes, small tomatoes, and anything else that’s round. Pay special attention to hot dogs, they are one of the leading choking hazards for young children. - Keep your floors clean. Babies will pick up anything you drop, and since they’re so close to the floor when they’re crawling or even walking, they don’t miss a thing. Make sweeping the floor a daily routine. - Have a special bin in the house for toys with small parts. If you have older children, chances are you’ll have some things around that are dangerous to baby. Make sure these items are all kept together and put up immediately after the older child has played with them. - Tape shut the battery doors on electronic items. Reported incidents show that both batteries and magnets are commonly involved in choking incidents. Make sure these items are kept high up in a special place only you can access. - Get Infant CPR trained. If baby is choking, the only thing worse is not knowing what to do about it. No matter how careful you are, babies seem to find that one item that slipped through the cracks. Taking an afternoon to go through infant CPR training is more than worth it if it means you could save a life. It’s really impossible to cover every single item in your house that might be a danger, so don't over-stress about it. If you keep a close eye on baby, he’ll alert you to some dangers you likely never thought of, and you can correct those early on as his activity makes you aware of them. After covering the four hazards listed above, it’s best to go room to room again, getting down at baby’s level and see if anything jumps out as a potential hazard. Another good step to take is to visit a large baby store such as Buy Buy Baby and browse the babyproofing aisles. They have gadgets for every possible hazard in your house and you may get some new ideas from just looking at what’s offered. And Once You’re Done Babyproofing . . .
You’ll be ready to book your first party with KidsPartyCharacters.com! Your child is never too young to experience the excitement of having her favorite character as her special party guest. At KidsPartyCharacters.com we have over 200 characters to choose from as well as packages that include face painting, cotton candy, and balloon twisting (when baby is at least 3 and balloons are no longer a choking hazard). To learn more about our magical parties and keep up with the latest happy and healthy parenting strategies, join us on Facebook for daily updates.